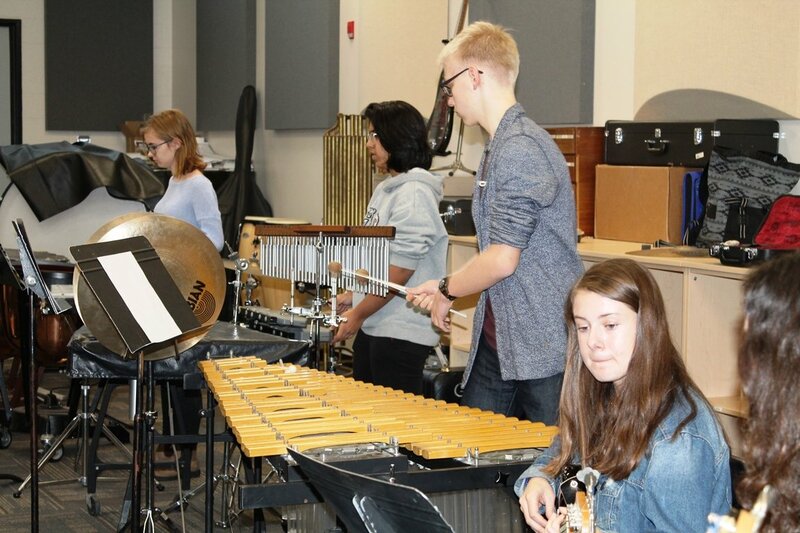 GUELPH, Ontario – The music program at Guelph Collegiate Vocational institute is ready for the 2018-2019 school year. New to the GCVI music program this year is a brand new GCVI String Ensemble. Currently there are about 20 students signed up for the String Ensemble at the school. A senior music student is running this group. The GCVI music program has also started a new initiative this year to mentor elementary music students. 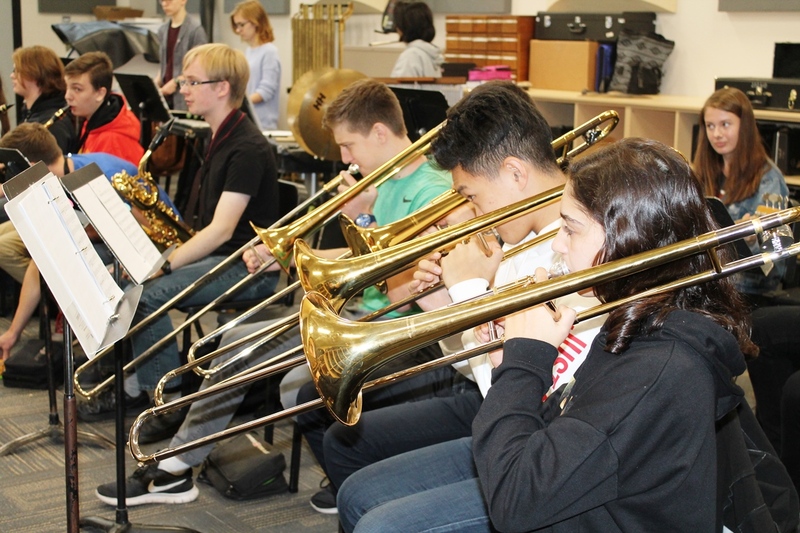 Music students at GCVI will travel to feeder elementary schools to work with grade 7 and 8 students on their music skills. Elementary students will also be joining their GCVI mentors at the school’s annual holiday concert for a performance. Also new to the school this year is a new music room. The new music room at the school was designed to meet the needs of the growing music program at the school. The room has high ceilings, open space and several acoustic panels on the walls to absorb and bounce sound. Along with the large main room, the redesigned room also features smaller soundproof studio space and rehearsal modules. Like previous years, this school year is shaping up to be a very busy one for GCVI Music students. 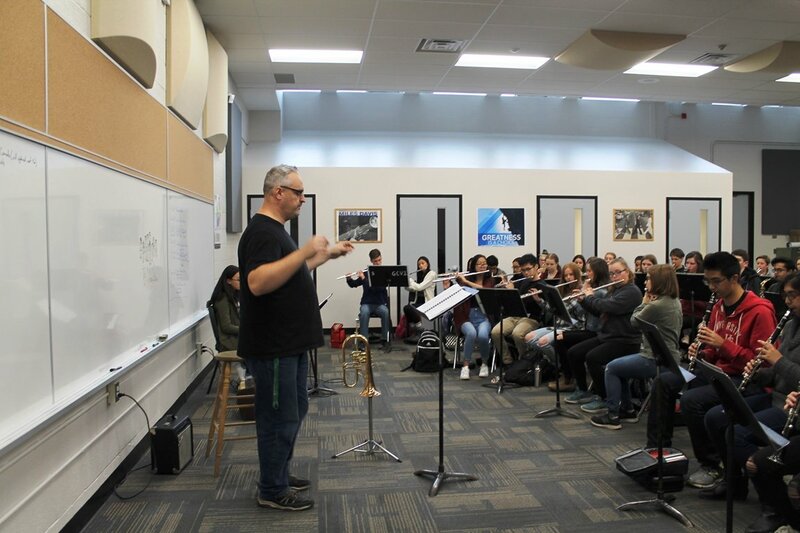 The program will be taking part in several music festivals across the province this year, as well as defending their gold medal performances from last year’s Ontario Band Association Music Festival. 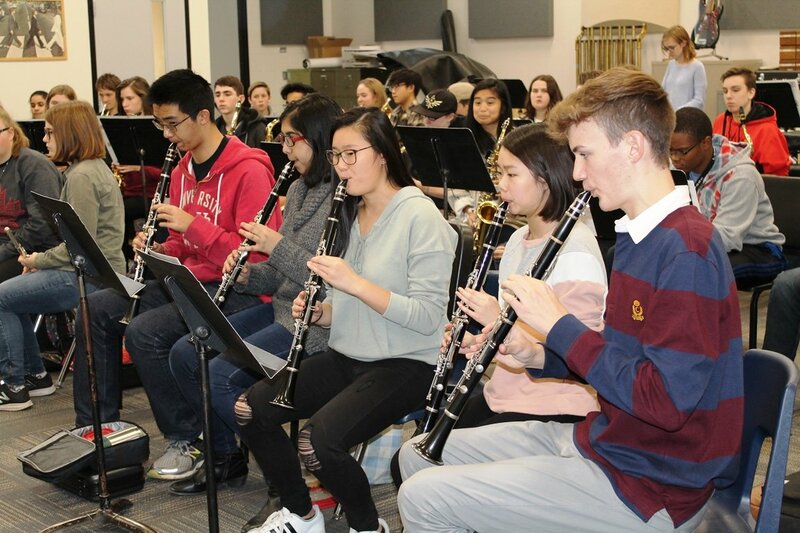 The schools stage band will be returning to the Humber College Next Generation Jazz Festival in Toronto and the Chamber Choir will be participating in the Ontario Vocal Festival in February. The school will also be heading back to England this year to participate in the Harrogate International Music Festival 202. This year the school will see all of its bands and the Chamber Choir competing at MusicFest Canada National Competition in Ottawa. Good luck to GCVI music students and staff with your busy school year. Upper Grand District School Board. All rights reserved.